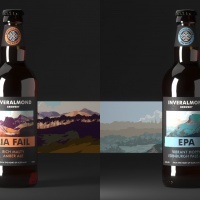 Glasgow design studio Freytag Anderson’s new identity for Perthshire brewery Inveralmond features some lovely illustrations by watercolour artist Peter McDermott. 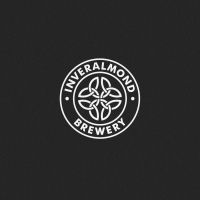 Inveralmond was founded in 1997 and acquired by Innis & Gunn last year. Freytag Anderson was asked to “revitalise” the company’s branding and create a visual identity that would better reflect “the quality and origins” of its products. 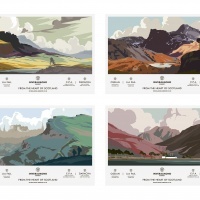 The studio commissioned McDermott to create illustrations of the Scottish countryside to represent each of the brewery’s core range of beers. “The original idea was to conjure up a sense of a timeless, slightly nostalgic view of Scotland – the old Scotland as the rest of the world sees it,” says Daniel Freytag. Freytag was initially inspired by the work of Norman Wilkinson – a painter and illustrator who created travel posters for London rail companies in the 1920s – and research led him to McDermott. McDermott was briefed to create illustrations with a distinct foreground, a mountainous skyline and a dramatic cloudscape. 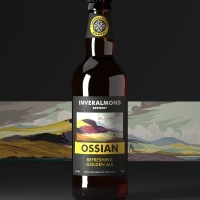 He was also asked to use a different colour palette for each image to help differentiate between Inveralmond’s beers. Labels for ruby ale Daracha feature a pinkish-red illustration and yellow accents are used in packaging for golden ale Ossian. Freytag says the labels also reflect the style and taste of each beer. 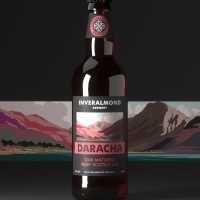 Daracha is infused with whisky flavours and its packaging features a more “dramatic” illustration than the pastel artwork used on bottles of Edinburgh Pale Ale. Freytag Anderson also redesigned Inveralmond’s logo. The symbol has been subtly updated to create a more contemporary mark that will appear on pint glasses and tap handles as well as bottles. New bottles are on sale now (with the exception of Daracha which is still being refined) and a seasonal range of packaging will launch later this year. 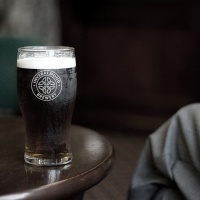 The branding evokes a sense of nostalgia without looking too retro or pastiche. The bold type and black labels add a contemporary touch and stylised illustrations stand out against more intricate and crafty packaging.